Globalnet sp zoo (Poland) is an educational institution, a limited-liability company that belongs to the non-formal learning system and mostly operates in the adult learning field. The company designs, develops, implement e-learning products and software and pro-vide e-learning solutions and services for business sector and education. It is committed to high quality instructional design and educa-tional new media development, and provides a core deliverable of programs, courses, and learning objects for the distance education and e-learning markets. The company is based on the mission to teach people, to inspire them to learn. We are looking for inspiration in teaching and learning, we try to change the way of thinking about learning and teaching that it does not have to be an obligation it could be an adventure and fun and a place where you can meet other people willing to acquire the same or other language qualifications. The company employs a design methodology that yields flexible, scalable, and reusable content, supporting people with rich, targeted solutions that are easily replicated and maintained. We cooperate with language teachers, methodologists, ICT specialists, psychologists, trainers, coaches. Globalnet Ltd. started as a language school and has developed into an institution taking part in many educational projects. Globalnet sp zoo organizes language courses and other vocational training courses, mainly ICT, for civil servants, police officers and other professional groups. Globalnet organizes e-learning language courses for adults, especially for people aged more than 50 years. The company deals with: trainings, developing programs and training materials, implementation of computer systems, designing web pages, e-learning, e-business. Glob-alnet has many years of experience in carrying out European Union educational programs, within the framework of which it conducts research, experimental and educational activities. 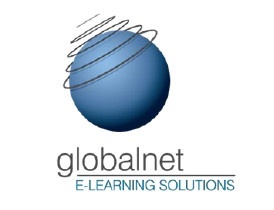 Globalnet’s main product are an e-learning platform Losglobos, Learning Manage-ment System LMS and I-office software, which is an innovative tool accessible for teachers and students. This is a fully modern system that is designed to improve the quality of education of students and to make the work of teachers easier and more enjoyable. Losglo-bos School is a virtual place that gives our students a chance to learn at any place and any time.